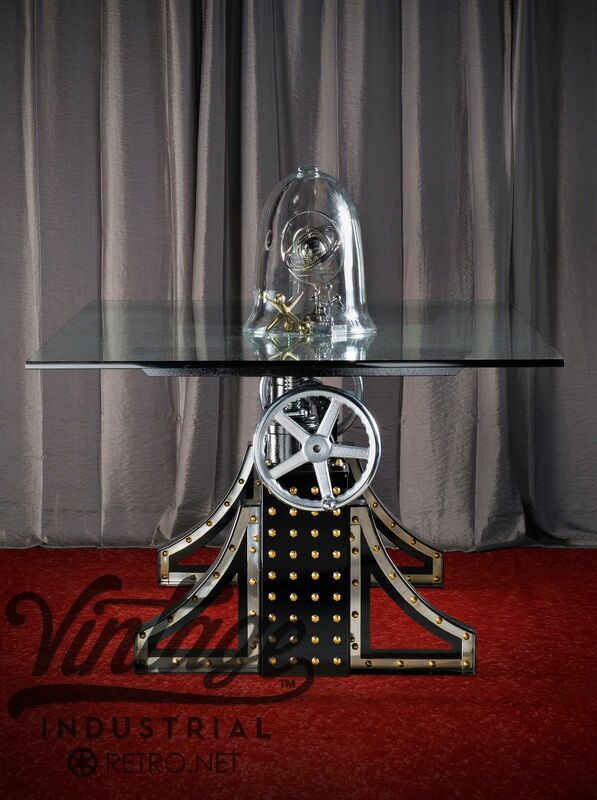 Hollywood Regency meets Industrial, the IndustriaLux style Bronx table sets the a standard for VI. 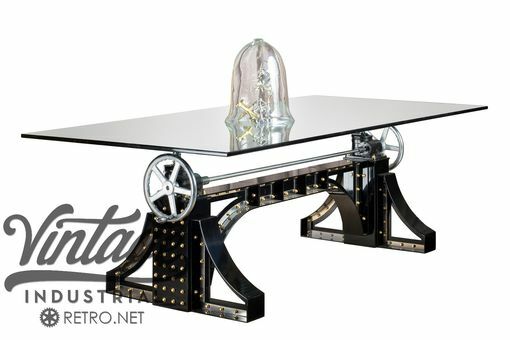 We classed up the Bronx table with a high gloss paint, polished stainless accents, and brass and chrome hardware. 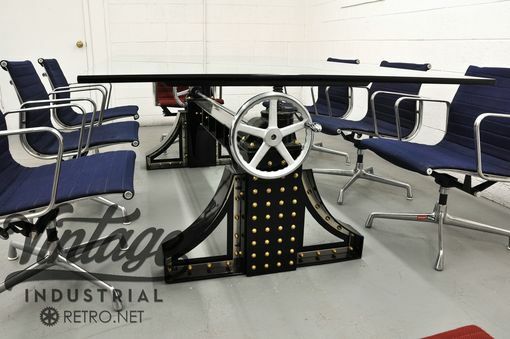 It is available with various tops like steel, glass, hardwood, stone, and concrete. 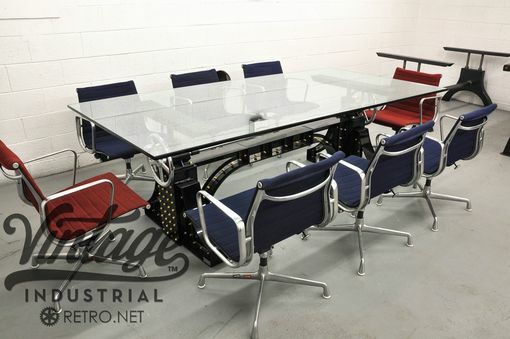 And the top top adjusts from dining to bar height (30″ – 42″) to increase it's versatility. It is an adaptable design that can be customized to a wide range of specifications to fit your individual commercial or residential needs (contact us). For more information, please see Product Details below. 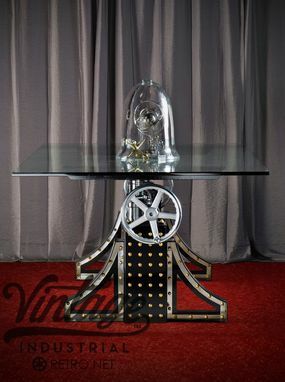 An original design by my company Vintage Industrial. Our designs are unique, made in America, and built to last generations. Some of our clients include: Armani, MGM, The Four Seasons, Ralph Lauren Home, etc. 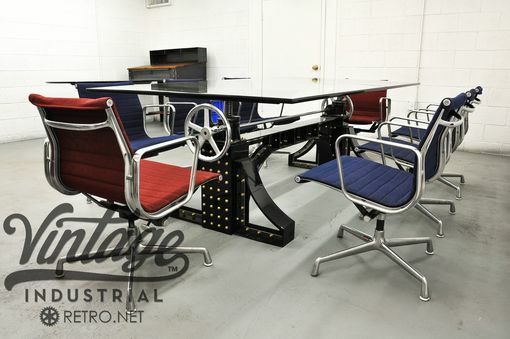 We've been in business since 2009 and are a Company setting the standard for the Vintage Industrial style.